Types of granite colors, names, edges, maintenance and care, granite cost, and much more – everything is here, in this Types of Granite Countertops 101 Guide – your Ultimate source of information. If you are looking to remodel your kitchen and you’re on a quest for the perfect, 100% unique natural stone countertop, you’ve come to the right place. Not only that we will show you different types of granite colors but we will also provide you with all the information needed for easy maintenance and care. This guide will make it easy for you to choose the right edge for your granite countertop and find the lowest price. Choose the right granite color for your kitchen space and use it to make your home truly unique and timeless. When you get all the information you need from our Types of Granite Countertops 101 Guide, pick your favorite among many granite slabs we offer, and ask for your free estimate. Granite is a natural stone and the most popular igneous rock. Many people recognize and successfully identify granite because it’s commonly used for building objects for everyday use. Granite industry uses granite stone to create everyday objects like countertops, wall and floor tiles, paving stone, stair treads, curbing, and building veneer. When they quarry granite from the Earth, they cut it into slabs or blocks. These granite slabs and blocks need to have a specific width, thickness, and length. Granite industry uses these slabs further for different purposes depending on these characteristics. All types of granite are perfect for everyday use because they are heavy and strong, water resistant, wear and tear resistant, and durable. Countertops, floors, and walls made of different types of granite are also beautiful because this stone gets its full shine when polished. All these characteristics make all types of granite a highly desirable stone for multiple uses in both residential and commercial interior. Types of granite colors determine minerals and rocks that make granite. Quartz, amphiboles, feldspar, potassium, and mica (muscovite or biotite) minerals give granite such unique colors and patterns. Different types of granite colors depend on the concentration of these minerals in the stone. For example, quartz gives granite mainly milky white color, feldspar provides an off-white shade, biotite gives dark brown or black color, amphibole dark green or black, muscovite – yellow or metallic gold, and unique salmon pink color comes from the abundance of potassium feldspar mineral. The combinations of these minerals give us different types of granite colors – white granite, black granite, black and white, pink granite, red granite, blue granite, and green granite. White granite primarily contains milky white quartz and opaque white feldspar minerals. No white granite is perfectly white like man-made stones. Actually, if you see a countertop that is 100% white, be sure that it’s not granite but more likely quartz. White granite countertops are true works of art that will have many shades, veinings, and spots of different coloration. Most often, you will see an abundance of small black amphibole grains. 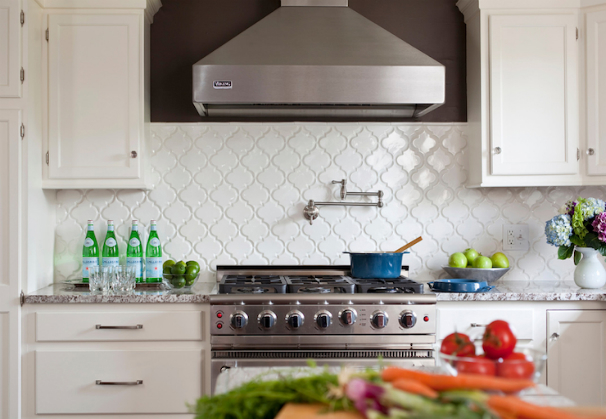 Out of all types of granite, white granite is the truest classic. Its unique, timeless beauty holds great currency in interior design. 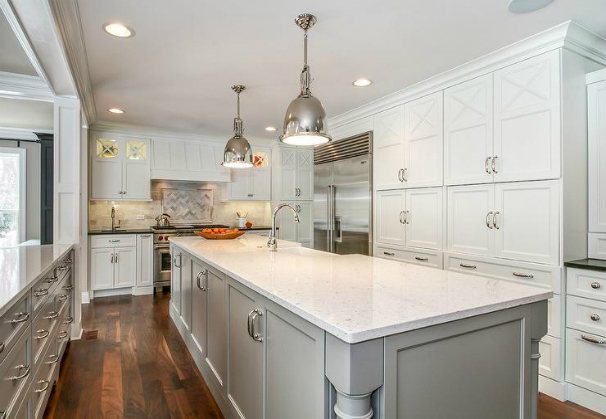 An elegant, fresh, and classic look of white granite countertops easily incorporates and complements both residential and commercial interior projects. Whether gray-flecked, black-spotted, ivory-threaded or slightly bluish, the ageless material of white granite countertops transports centuries of natural processes into our homes and offices. If you have set your mind on white granite, choose among many options, like Bianco Antico Granite, Ivory Fantasy Granite, Moon White Granite, River White Granite, or Juparana Delicatus Granite. Moon White Granite is a beautiful granite stone. It features delicate grains and intricate patterns with an abundance of specks and swirls. Ivory, silver, gray and jet black spots are delightfully incorporated to together to create a stunning appearance. Moon White Granite is a durable and dependable natural stone, easy to maintain. It will last you forever. Bianco Antico Granite features a gentle, soft gray background with warm pink and taupe spots and flecks. Your kitchen will never look the same with this interesting-looking stone. 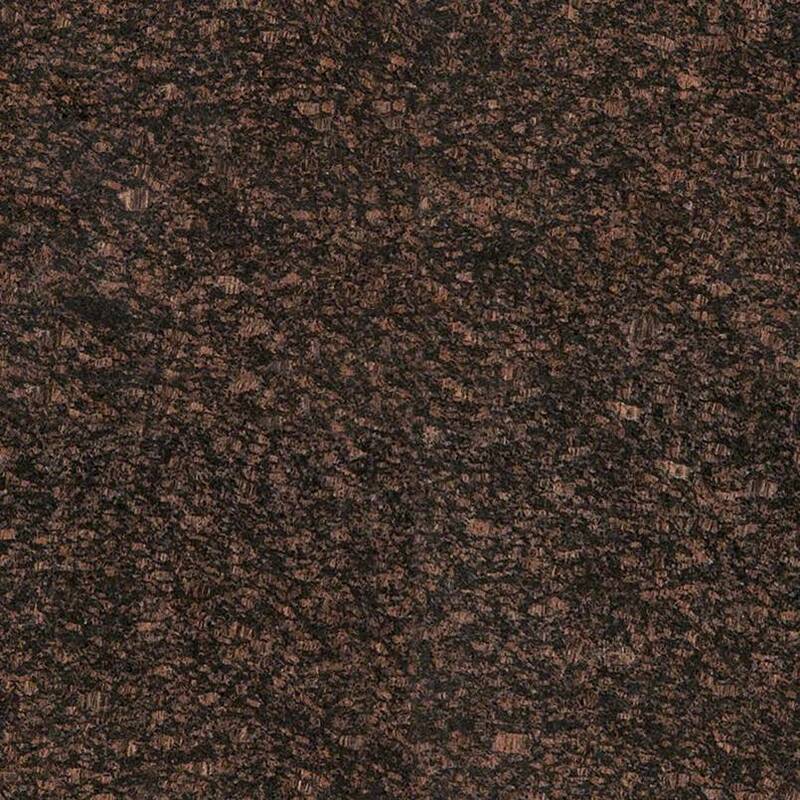 All the gorgeous brown and burgundy red colors and shades in Bianco Antico granite will amaze you. If you need a countertop with a fresh but classic look and strong personality, choose Bianco Antico Granite. You can find it at our Wayne NJ granite slab yard at Granite Countertop $54.99/sqft deal. River White Granite comes from India. Its white base is enriched with a wealth of light and dark gray veins and deep red burgundy spots and flecks. Each slab of this unique granite is different. Cream, blue, and gray shades intertwine with the white base and create the most amazing patterns you will ever see on a countertop. Looks, durability, and ease of maintenance are the pluses that will make you want to check out our River White Granite Countertop $44.99/sqft deal. Black granite is actually gabbro rock, an igneous stone similar to basalt. It primarily contains plagioclase and pyroxene minerals. There are also amphibole and olivine minerals. However, black rocks have the same hardness and durability as all other granitic stones. When you find a black granite countertop that you like, its origin is most likely diabase, basalt, gabbro, norite, diorite, or anorthosite. Black granite countertops present an excellent choice for everyone who likes solid colors and strong contrasts. Although some might say that black is a dramatic choice, it doesn’t have to be that way. It all depends on the combinations you choose to make in your kitchen. 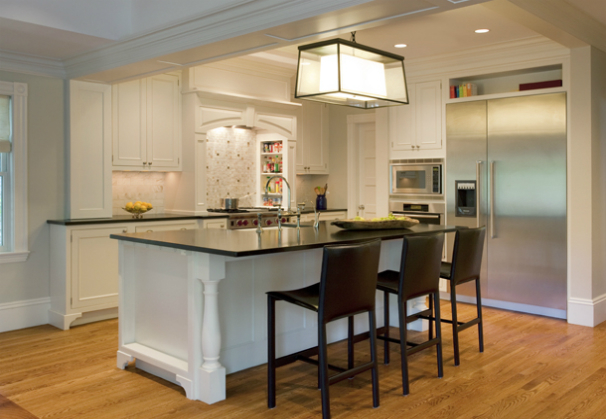 Black countertop can be combined with white or any other kitchen cabinets with a light color. However, you can choose to go deep and dark, too. Another choice is to give your neutral gray cabinets an interest and an edge using black granite. These endless options show just how much black granite countertops are versatile. Whether you like misty, cool and crisp, or starry-eyed look, there are types of granite in black color that will give you just what you want. Sparkles and flecks of gold, silver, green, and gray will perfectly balance the light and dark and give your kitchen a unique, polished, and edgy look. If you wish to explore black granite countertops further, take a look at Black Galaxy Granite, Black Pearl Granite, and Uba Tuba Granite. Black Galaxy granite is an overall black granite stone with small white and gold specks. These specks can range in size from really small to large, easily noticeable pieces that will add additional drama. Tiny drops of gold and white will make Black Galaxy Granite radiate from within and create a luxurious atmosphere in your kitchen. High moisture resistance, exceptional durability, and ease of maintenance are main characteristics of this beautiful stone. 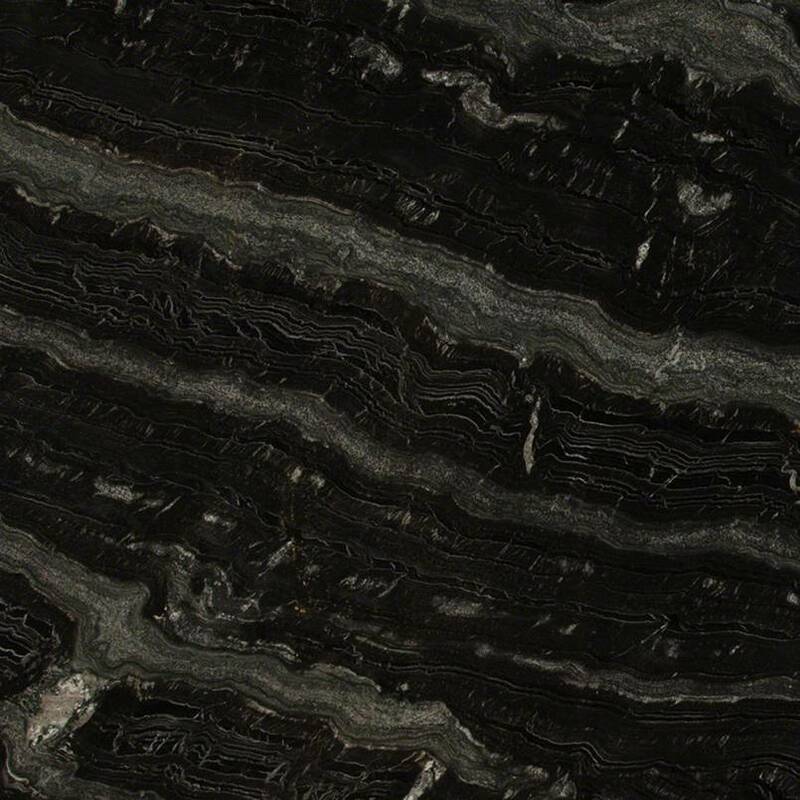 Find it in Wayne NJ at Black Galaxy Granite Countertop $54.99/sqft deal. If you are looking for a black granite countertop that is deep and versatile, check out Black Pearl Granite. Like all black granites, its general appearance is dark. However, the look of Black Pearl Granite provides intrigue and additional interest. A semi-solid black color features tiny flecks and speckles of shiny silver, gold, green, brown, and gray shades. You can use it for your indoor or outdoor kitchen and enjoy its ease of maintenance. Find it in Wayne NJ at Black Pearl Granite Granite Countertop $39.99/sqft deal. Uba Tuba Granite originates from Brazil. This deep black granite kitchen top features fine but shiny specs of green, gray, and gold shades. These various shades are multiple and they give Uba Tuba countertops a shimmering effect. If you need a statement piece in your kitchen that you can count on no matter the conditions or the number of years that will go by, take a look at Uba Tuba granite countertop. Find it in our Wayne NJ granite slab yard at Uba Tuba Granite Countertop $39.99/sqft deal. 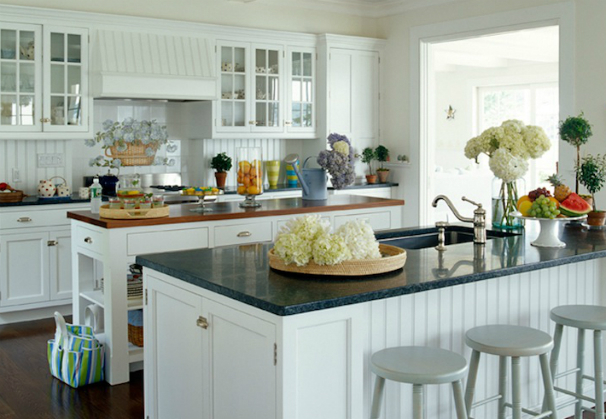 Black granite countertops and white granite countertops will make a statement in your kitchen. They will clearly define your taste and give an edge or they will add a more fresh and ethereal look. 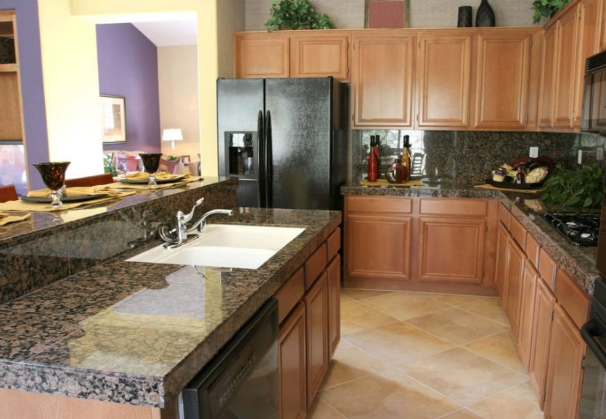 If you crave earthy, natural tones, there are no better options than brown and gold granite kitchen tops. They are maybe the most versatile granite countertops of all. Brown granite countertops are super popular among homeowners and designers who love neutral and natural wooden kitchen cabinets. Tan brown granite will beautifully complement dark wood kitchen cabinets, while dark brown granite countertops look gorgeous when they go with light wooden cabinets. 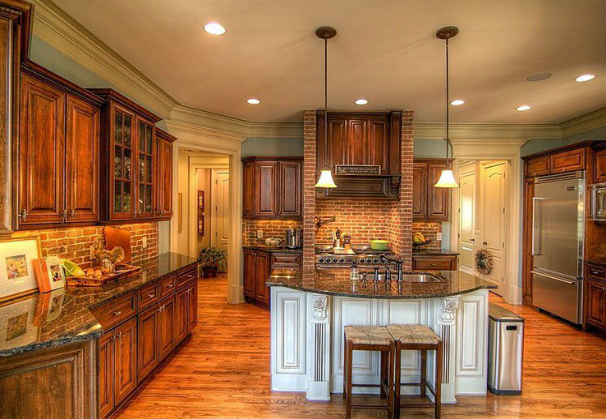 If you aspire to build a traditional, rustic, or country style kitchen, choose brown granite countertops. They feel warm, homey, familiar, and snug. If you want to add a touch of elegance, brown options with golden shades will provide just the right amount of beauty you want. Explore brown granite countertops and take a look at some most popular types of granite kitchen tops like Baltic Brown Granite, New Venetian Gold Granite, and Tan Brown Granite. 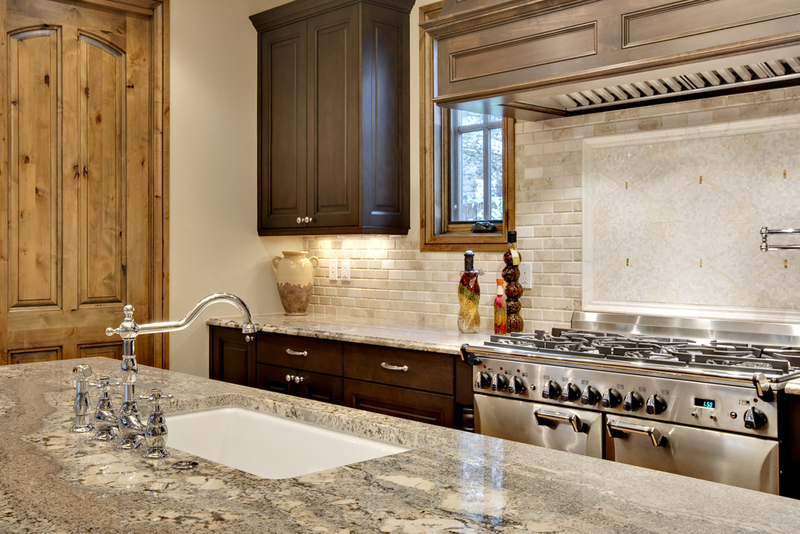 Baltic Brown granite countertops present an exquisitely beautiful brown natural stone. They feature a superb blend of a brown base with small black, gray, and tan flecks. This lovely brown granite stone has the so-called “irregular” fracture. 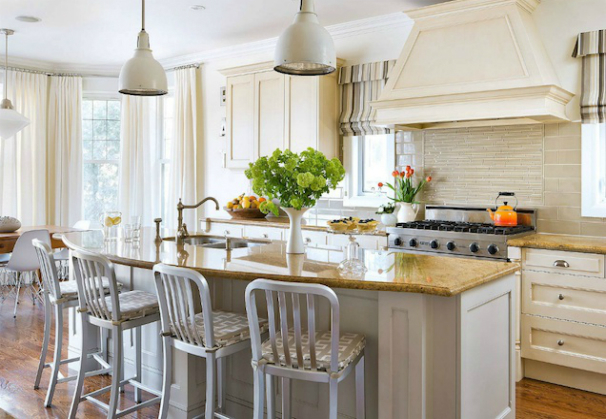 This is a special characteristic that gives especially lovely and original look to any kitchen space. With lovely look and stain, water, and mildew resistant features, Baltic Brown countertops are waiting for you to check them out at Granite Countertop $44.99/sqft Deal. 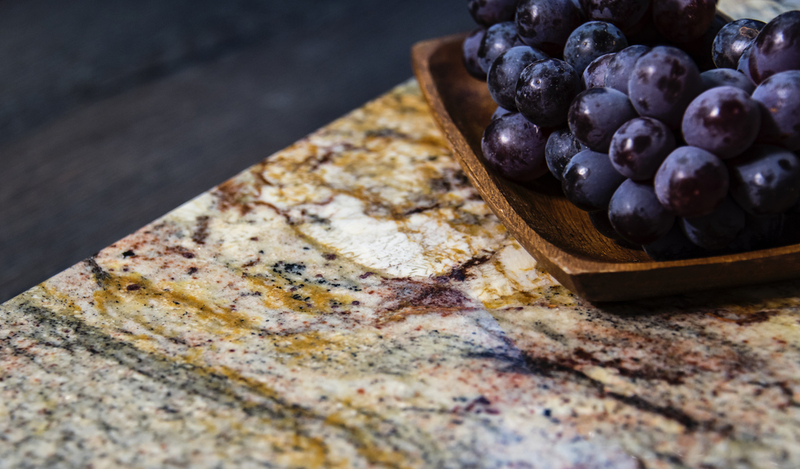 New Venetian Gold Granite is a special gold granite stone that will bring the warmth and shine of the golden sun into your kitchen. Beige and golden tones are intertwined with light veining of deep gray, red, and brown tones and shades. New Venetian Gold granite countertops present one of the most effective ways to update the look of your kitchen and add more visible value to your home. Find Venetian Gold granite in Wayne NJ at New Venetian Gold Granite Countertop $44.99/sqft deal. $39.99 per sq ft installed. Gray granite stones are beautifully understated, elegant, and often classy looking. When you look at a typical gray granite, you will see dominating gray shade but also a wealth of striking flecks in other colors. Like in any other kind of granite stone, you will discover an abundance of creams, rusts, reds, blacks, silvers, and golds. Gray granites are, similar to brown options, neutral. However, they are perfect for creating more elegant and contemporary interior decors. They can also be warm and homey similar to brown granite but in a different way. Gray granite countertops are silvery shiny, unquestionably elegant, and unique. 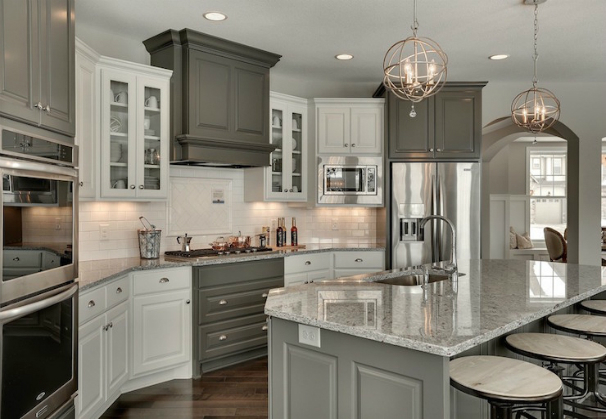 Smoky or snowy, gray granite countertops are convenient and affordable – perfect choices for your next kitchen remodel project. Whether you are planning a kitchen or bathroom remodel, a residential or commercial project, gray granite countertops will suit a variety of aesthetics and preferences. Get inspired by two of our most popular and best-selling types of granite gray options – New Caledonia Granite and Steel Gray Granite. 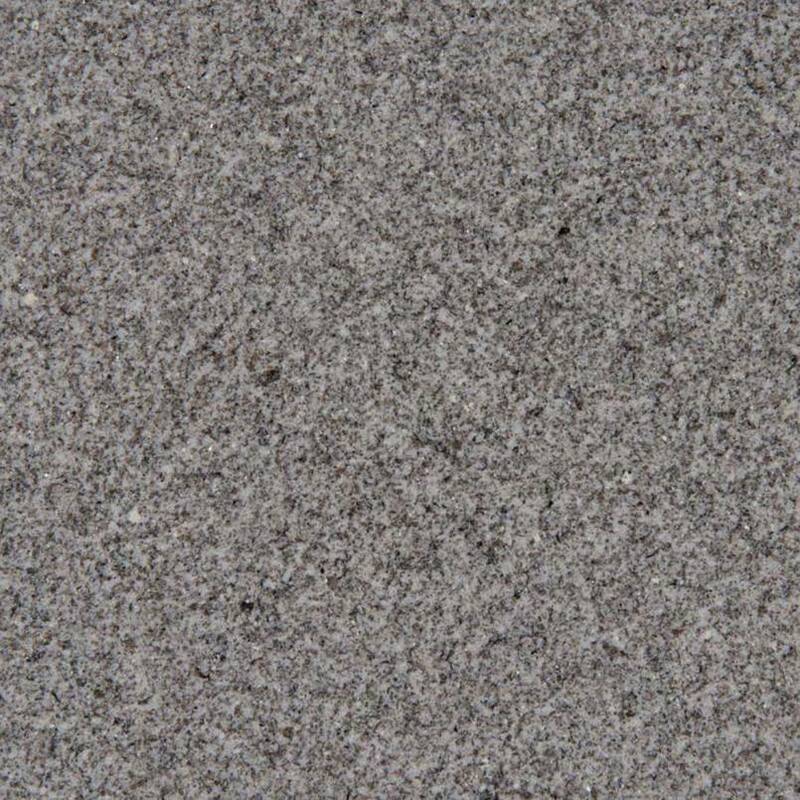 New Caledonia Granite is one of the most beautiful and the most interesting types of granite in gray color. Intricate shades of grays and white range from light gray to charcoal shade. Add natural beauty and unique, elegant vibe with New Caledonia Granite countertops to the most important room in your home! Their unique, consistent grain structure makes it easy to combine different slabs of this gray granite stone. 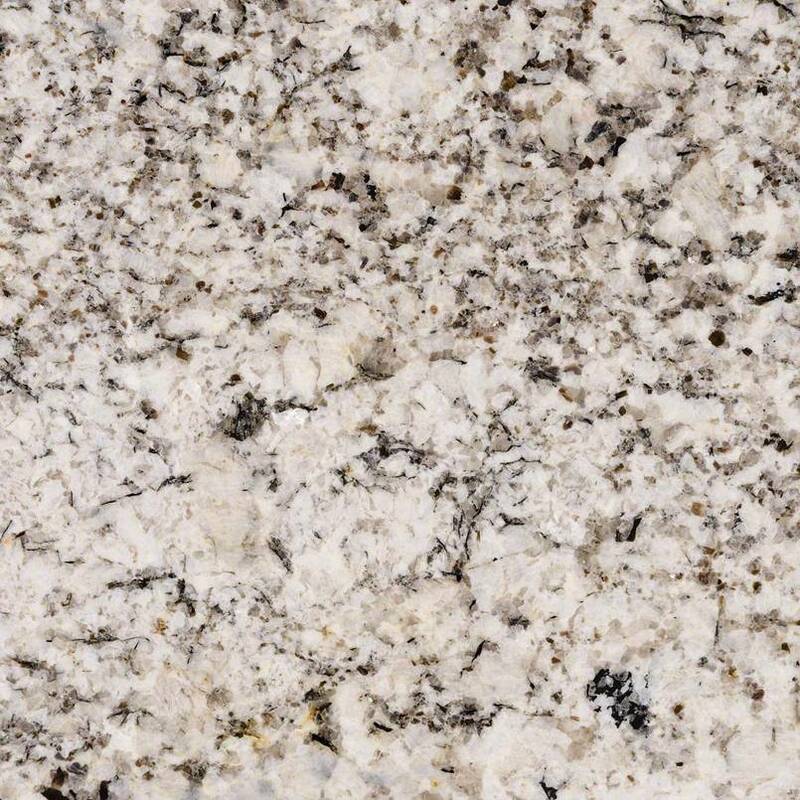 Find New Caledonia Granite in Wayne NJ at New Caledonia Granite Countertop $39.99/sqft deal. Steel Gray Granite comes from India. It represents a low-variation durable granite stone with an abundance of various gray shades and tiny flecks of lighter grays. Steel Gray Granite countertops present an ideal solution if you love mysterious, dark gray look. They are a perfect example of how you can create a sleek, contemporary decor using traditional stone. Whether you need it for a residential or commercial remodel project, you can find it in Wayne NJ at Steel Gray Granite Countertop $44.99/sqft deal price. Both Quartzite and Granite are natural stones and both are great choices for your project. Learn their differences to choose the one that is right for you. Cost – if it is pure, quartzite is more expensive than granite. 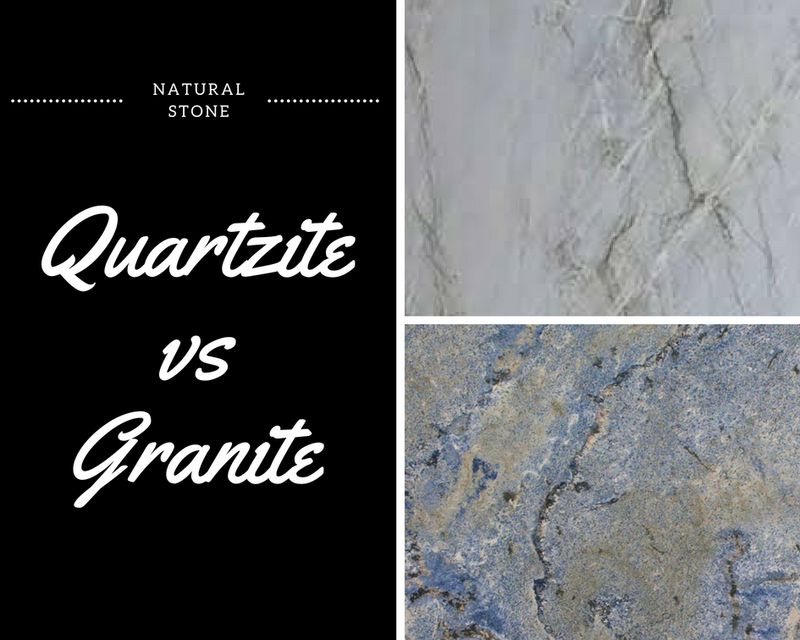 Looks – it is difficult to see the difference between granite and quartzite as both have mineral quartz in their origin. However, they formed in different ways. Quartzite is commonly found in lighter colors and patterns that resemble marble. Durability – quartzite and granite are equally durable and require the same level of maintenance. Both are more durable and require less maintenance than marble. After you have decided that you will use granite for your remodel project, and after you determined what color is best for your interior, it is time to decide what kind of type of granite edge you will choose. Granite edge profile is the shape that the edge of your granite kitchen top will take. You can choose between the following types. These edges feature a slightly rounded design. They are best for simple and clean, contemporary countertop designs and interiors. This type of edge will easily blend with the kitchen and won’t steal attention from your beautiful granite kitchen top. This type of granite edge is the most popular. It is not too rounded but it is also not too sharp. This edge is basically a 90-degree square edge that is slightly eased. This type of granite edge adds the thickest look to the granite countertop. It is easy to clean and doesn’t hold spillages that so often happen in a kitchen. If you want to achieve a sleek, elegant, and modern look in your kitchen, choose this type of granite edge. Beveled edge features a 45-degree angle clipped flat corner. Your granite fabricator will be able to customize the angle and the width of the bevel edge to meet your needs. Because of its simple, flat design, beveled granite edge is also easy to clean and maintain. This is a classic looking granite edge, perfect for traditional kitchen designs. There is a groove on a bottom that is rounded. Ogee edge can feature a simple, subtle line, or a deeper, more visible and dramatic curve. If you want to make a statement with the edge, that Ogee Edge is perfect for you. Just keep in mind that it would steal too much of attention in a smaller kitchen space. Its curves also take more effort to maintain and keep clean. It features rounded look ideal for sophisticated traditional kitchen and bath decors. Pick this edge type if you want your granite countertop to appear thinner and classic. If you want an ease of maintenance, this is the best of all types of granite edges for you. Keeping it in pristine condition is easy. It is rounded and features clean and sleek look, perfect for modern, contemporary designs. This edge looks like there is almost no edge at all. That is why its name is Waterfall. It seems like granite flows over the countertop without a stopping point. This is also one of the safest granite edges you can choose. It is great that you have decided to use some of the types of granite we presented you in this Types of Granite Countertops 101 Guide. If you would like to gain deeper knowledge of different granite grades, you’ve come to the right place. We are proud to say that Aqua Kitchen and Bath provides only premium grade granite slabs. Low-Grade Granite – Level 1 is commercial grade or builder’s grade, entry level granite stone. This low-grade granite is cut thinner, usually about 3/8 inch. Builders are using it for pre-fab remodels and building apartments. It features a simple design and standard colors. Mid Grade Granite – Level 2 is generally imported from Brasil or India. It features a bit more unique colors than Level 1 Granite and 3/4 inch average thickness. Top Grade Granite – Level 3 + has more than just 3 levels. 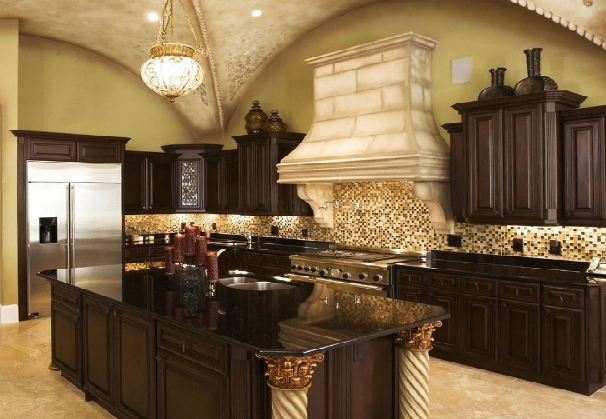 These often go up to 7 levels with granite countertops of the finest quality, most unique designs, veins, rare colors, and patterns. Highest grade granites are usually cut into 3/4 inch or more average thickness. This is the kind that Aqua Kitchen and Bath Design provides. Granite countertops have an affordable price comparing to other natural stones like marble and quartzite. The final granite countertops cost will depend on the size of your countertop and on the number of granite slabs you’re purchasing. Average cost of granite countertops ranges from $50 to $100 per square foot. Generally, fabrication and installation come free of charge. The thickness of the granite slab, as well as the pattern and color, will affect the price. Here, at Aqua Kitchen and Bath Design Center, granite countertops cost starts at $34.99 per square foot installed – single slab deal and goes to Granite Countertop $54.99/sqft deal. This granite countertops cost is lower than the average. We have included a free estimate, free fabrication, free edge treatment, free sealer treatment, and free installation in our low granite countertops price. 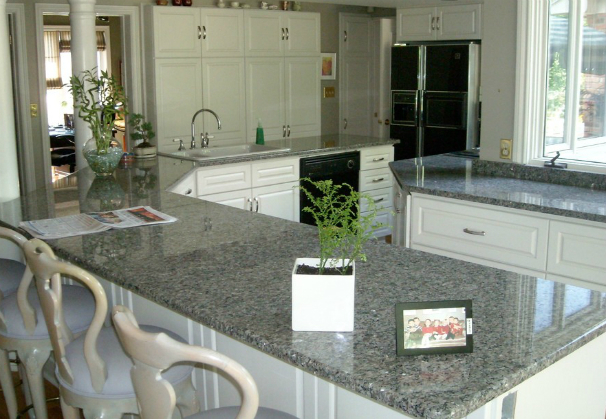 Granite countertops are easy to maintain and care for. This natural stone is exceptionally durable and strong. To keep its impeccable looks and performance, make sure to seal it once a year. 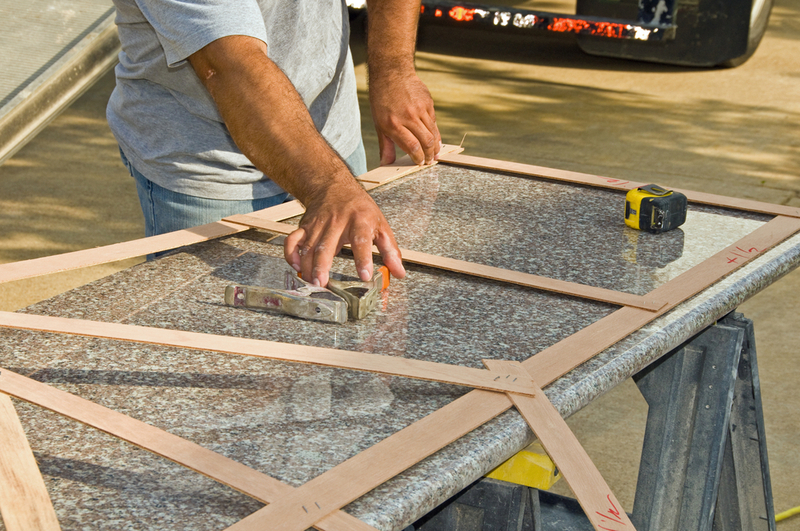 When your local granite fabricator installs your granite countertops, they will seal their surface. 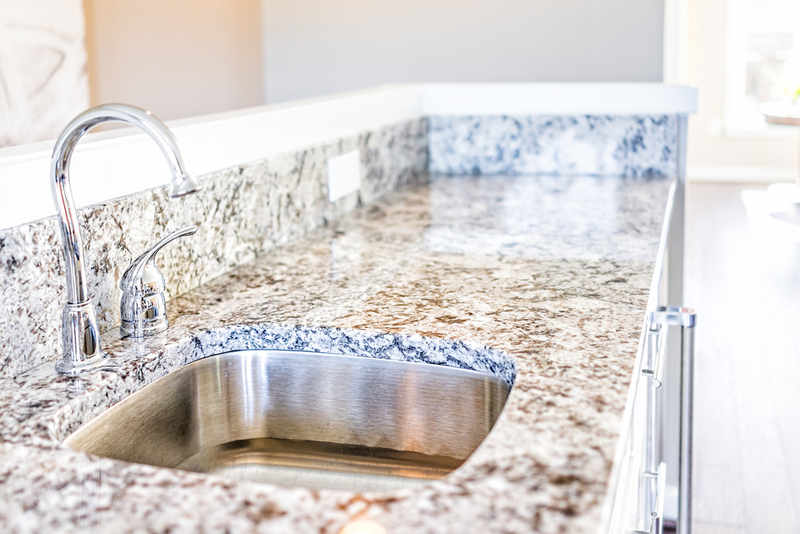 Sealant gives your granite countertops best protection against moisture and spills. If you want to put the sealant yourself, make sure you use a high-quality product and follow manufacturer’s instructions. On an everyday basis, clean your granite counters using a soft, cotton cloth and mild water with just a drop of ph neutral cleanser or any ph neutral liquid soap. Make sure not to use any scrubbers or harsh cleansers. If your granite is sealed properly, light cleaning is all that you need to keep it looking and performing perfectly. All types of granite countertops can withhold high temperatures, so putting hot pots and pans on them is not a problem. However, a damage is possible under extreme temperatures. Aqua Kitchen and Bath Design Center is located in Wayne NJ and has all the right types of granite countertops you want to consider for your kitchen remodel. From single slab deals to $39.99, $44.99, and $54.99 deals per square foot installed, we have the lowest prices on Granite Countertops NJ. All our types of granite countertops are of the highest grade quality, featuring unique colors and patterns. 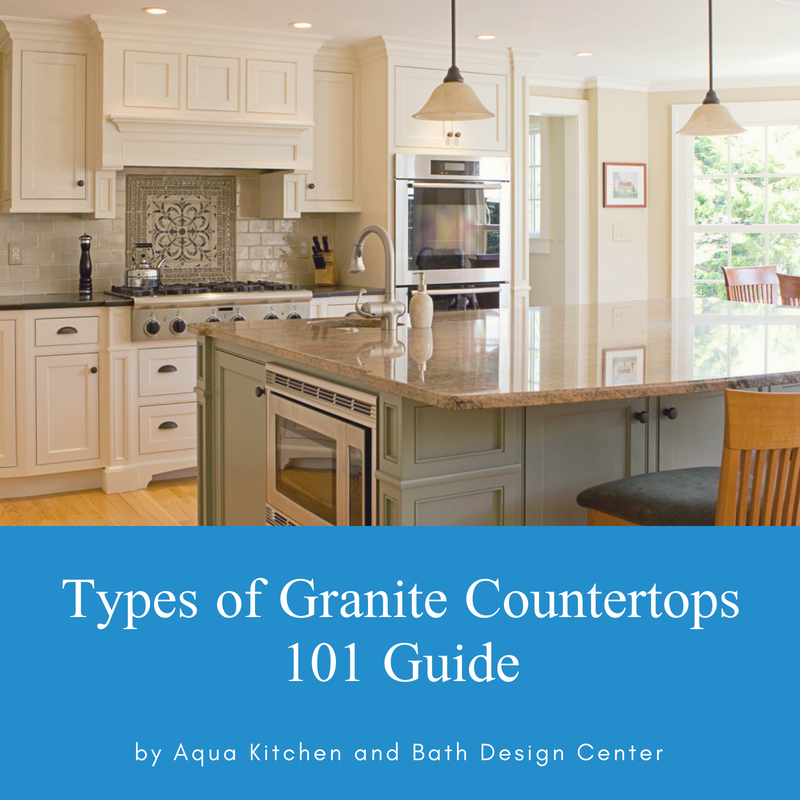 Whether you are planning a residential or commercial project, we hope this Types of Granite Countertops 101 Guide has given you all the necessary information you need to know. When you come to our granite slab yard in Wayne NJ, we will answer any questions you may have and show you all the slabs you are interested in. You can also contact us online today and find that perfect type of granite countertop you’ve been looking for.